I'm just starting the process of moving over to windows from a lifetime on mac and can't seem to figure out how to set the mouse wheel not to zoom as far per individual click. E.G. when I'm at 100% zoom and I scroll to zoom in, the 1st jump is to 150%. When I zoom out from 100% the first jump is to 67%. 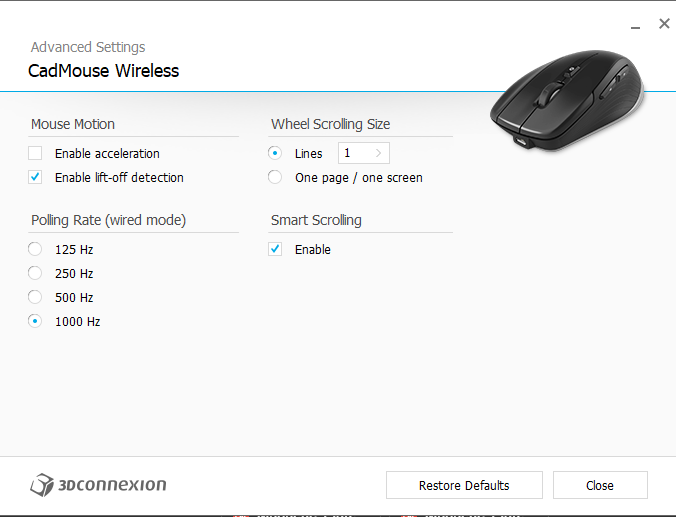 I have the same Mouse and standard Scroll Speed set to the Default 3 Lines. my Windows Slider is not completely left. @zoomer Whoops! 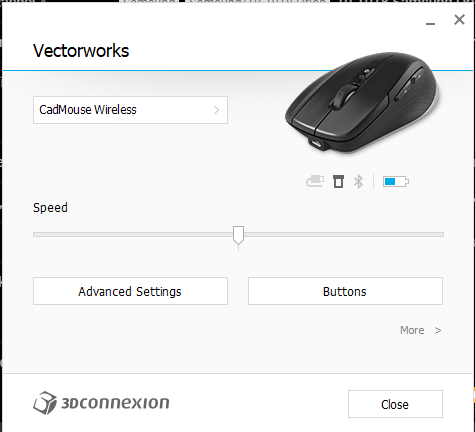 the cadmouse software gets pretty annoying sometimes retaking those pics for you.